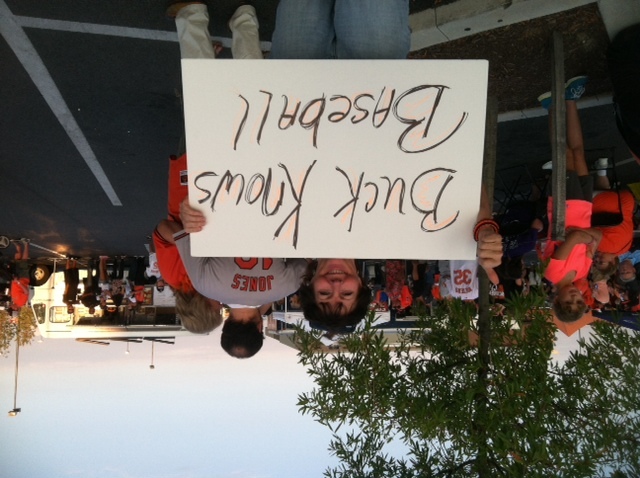 I attended the Orioles rally Tuesday night in Canton. 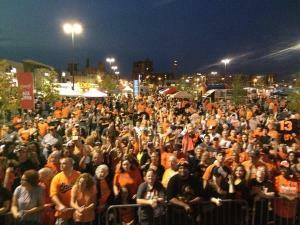 Talk about a sea of orange! First, I should point out that there aren’t many pics or videos because I forgot to charge my phone fully. Oops. I then bumped into WJZ’s Chelsea Ingram. It’s okay, be jealous. 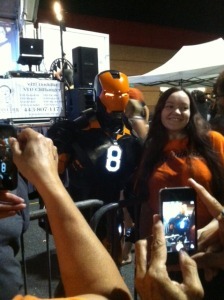 Pasadena Family continued to rock, as crowds started to gather in front of the stage waiting for the Orioles. 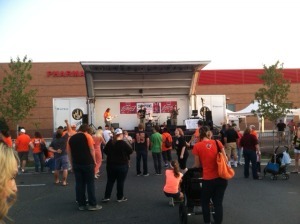 Jeremy Conn from 105.7 The Fan emceed the event. 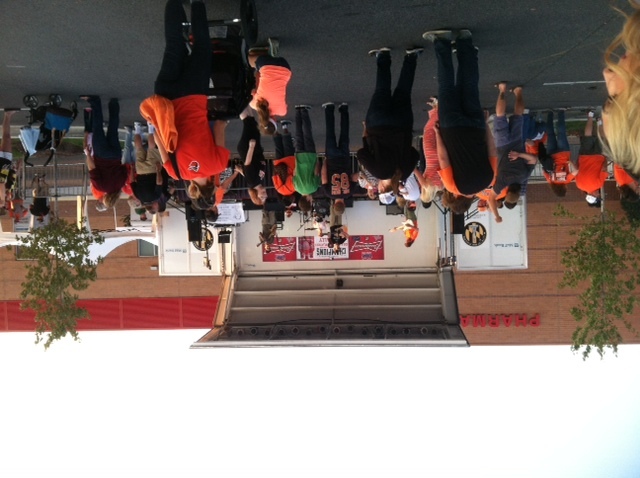 By now the event had close 1,000 people in attendance..
Yup. That’s a lot of Orioles fans. * A drone (you read that right) flew over the area and took video of all the fans..flipping it off. 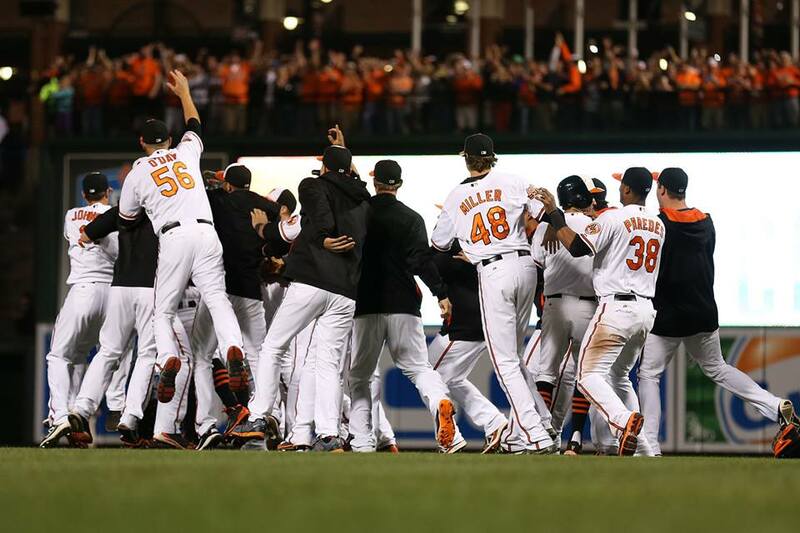 * Jonathan Schoop seemed pretty chill on stage. He motioned for fans to come over to the guard rails to take some pictures if they wanted. 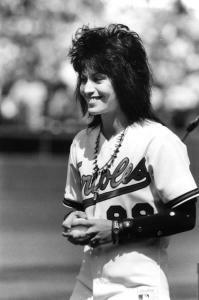 * Kevin Gausman looked..petrified. In a good way. I don’t think he had any idea that many people would show up. 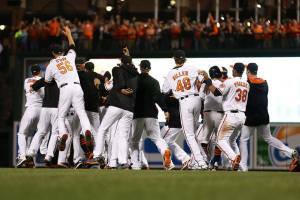 * Morgan Cox (yes THAT Morgan Cox) was a surprise guest hanging out with the Orioles. Birds of a feather. * I heard from someone close to the players that they were grateful and surprised a ton of people showed up to support them. 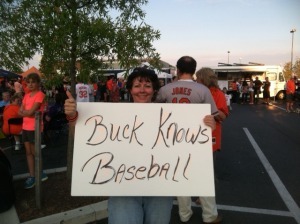 Of course we support them! 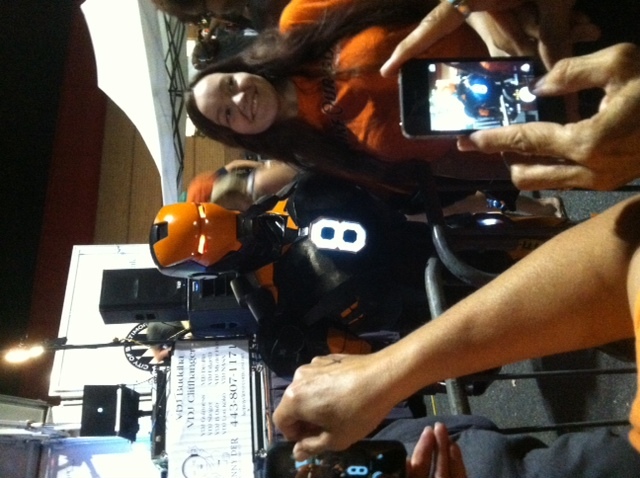 And finally..the Iron Man showed up. Sort of. I want this costume. Who wants to buy it for me? 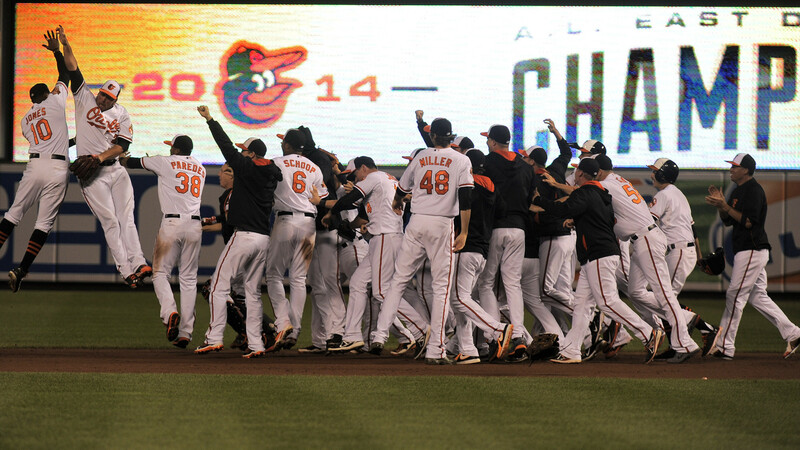 All in all, it was a pretty awesome Orioles rally. Props to everyone for making it happen in four days! 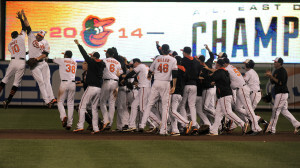 Let’s show the Orioles, and the world, how much we support our guys. 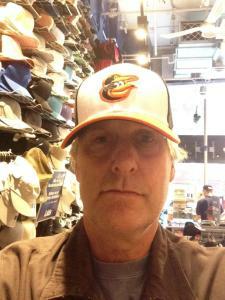 I challenge every Orioles fan (if possible) to wear Orioles gear, or something orange today, Thursday and Friday.